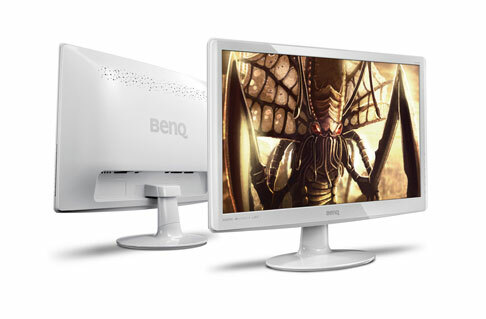 The company BenQ has unveiled another gaming monitor, in addition to their first-person shooter optimized model XL2410. The new model is called BenQ L2240H and is claimed to be world’s first monitor which is specifically designed for Real-Time Strategy (RTS) gaming. The new 22-inch monitor is developed in collaboration with ZOWIE GEAR and professional StarCraft 2 team Startale to cover all the needs of the RTS gamers. The monitors has a LED backlight panel with 1920 x 1080 native resolution, backed by Black eQualizer technology that allows gamers to adjust the screen brightness without over-exposing white levels. BenQ’s RL2240H monitor also comes with special pre-set RTS Mode and Smart Scaling feature, letting users to manually scale the screen to any custom size. The RL2240H will be heading to Europe, Korea and Japan in October, worldwide thereafter, but the price is still unknown.